Our bodies were designed to move. Regular activity, fitness, and exercise, are critical for the health and well being of people of all ages. Research shows that everyone, young or old can benefit from regular exercise, either vigorous or moderate. Even very old adults can improve mobility and function through physical activity. It should be a priority for everyone. One research study showed people in thier 90's had significant health benefits when they started an exercise program. Millions of people suffer from chronic illnesses, which can significantly improve through activity. Exercise reduces the risk of heart disease, diabetes, colon cancer, and high blood pressure. People who are active OUTLIVE those who are inactive. Despite the well-known benefits, most adults and children lead relatively sedentary lifestyles. They are not active enough. A sedentary lifestyle is defined as engaging in no leisure-time physical activity (exercises, sports, physically active hobbies) in a two-week period. Typically, a lot of older people lead sedentary lifestyles. More than one-third of young people in grades 9-12, do not exercise regularly. The cost to the medical establishment is in the billions for treatment of diseases, which could be lessened or prevented all together with exercise. Physical activity maintains muscle strength, joint structure, joint functioning and bone health. Exercise has an effect on mental health as well, especially among young people. It increases the capacity for learning, increases self esteem, and reduces anxiety and stress. Sports can introduce skills such as teamwork, self-discipline, sportsmanship, leadership, and socialization. Obesity has become a nationwide epidemic. Regular activity, along with a nutrious diet, (we recommend a Paleolithic diet) is the key to maintaining a healthy weight. 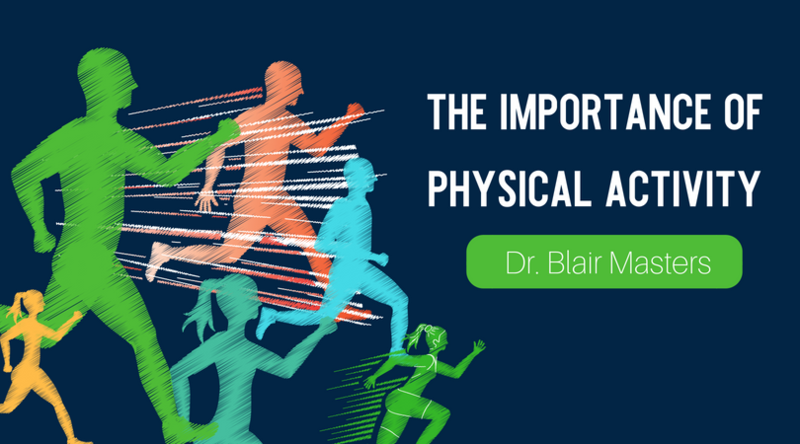 Everyone must realize the benefits of physical acitivity for the mind and body. Then commit to a lifestyle that is active for the whole family. If you need help getting going with exercise, call us at (479) 443-0800 or click here to schedule your appointment. We can sit down with you and discuss exercises that may benefit you and any limitations that you may have and ways you may be able to compensate for them.